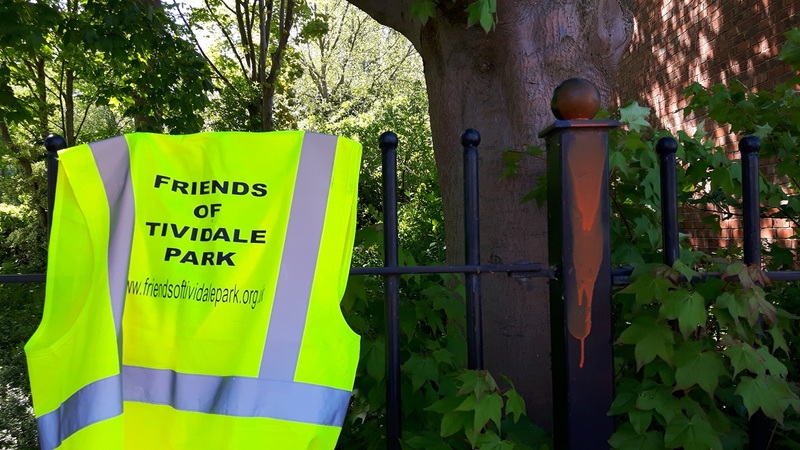 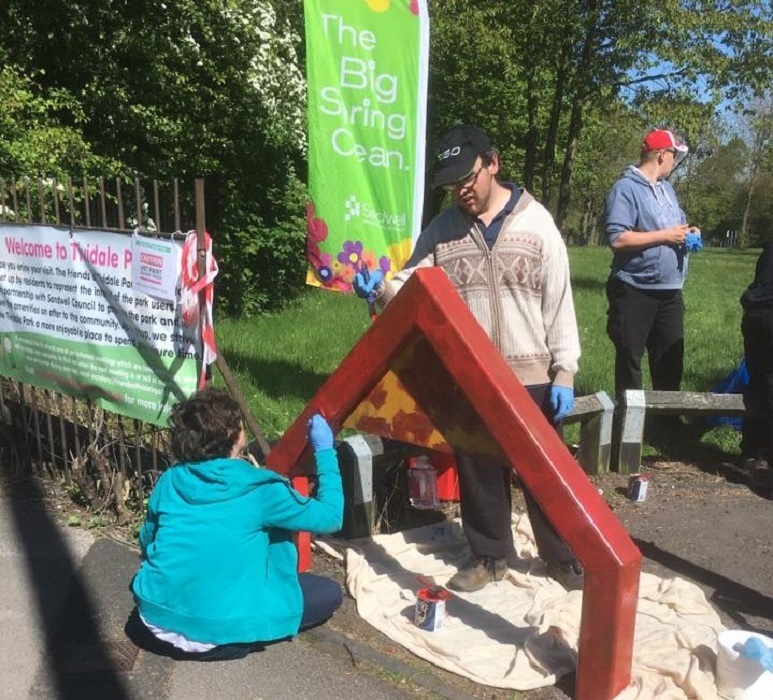 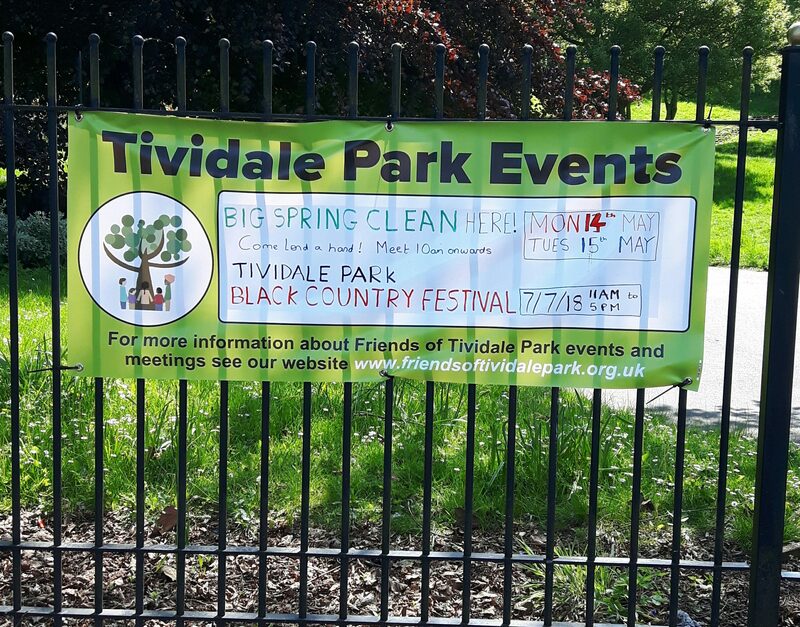 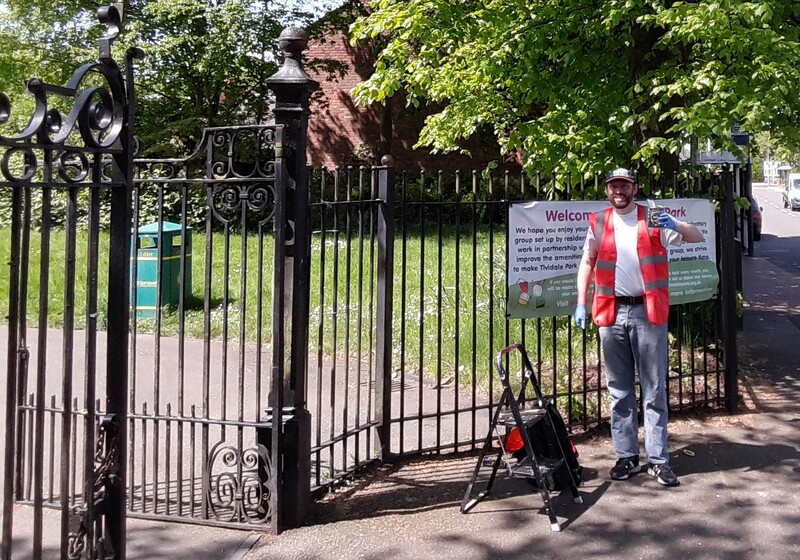 On 14th and 15th May a Team of Volunteers from Tipton based Litter Watch worked with Friends of Tividale Park as part of the Big Spring Clean Project in Tividale Park. 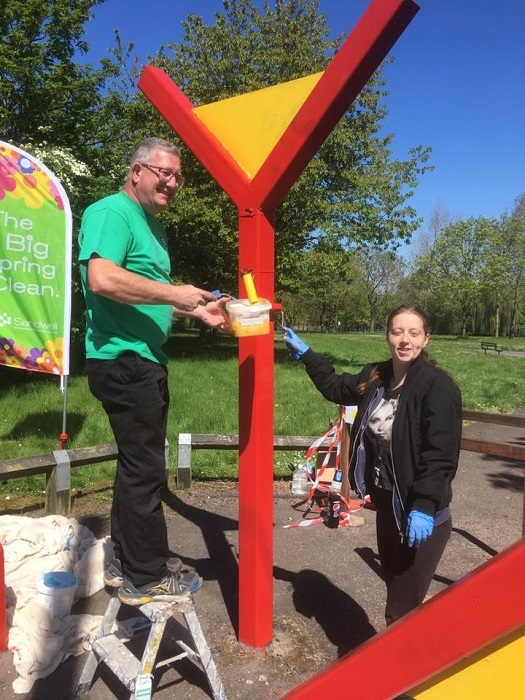 The Big Spring Clean is one of Sandwell’s most popular community campaigns, and Litter Watch play an instrumental role in coordinating the campaign and the volunteers alongside Sandwell Council and Serco. 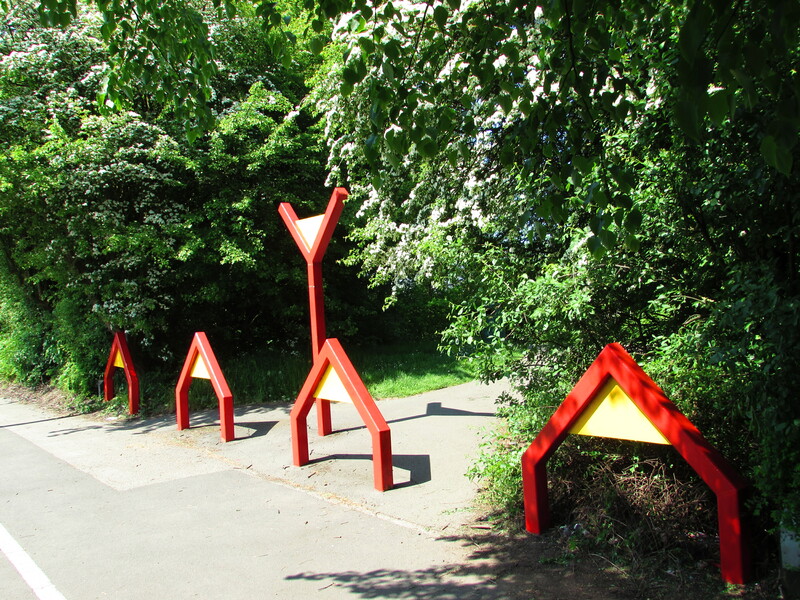 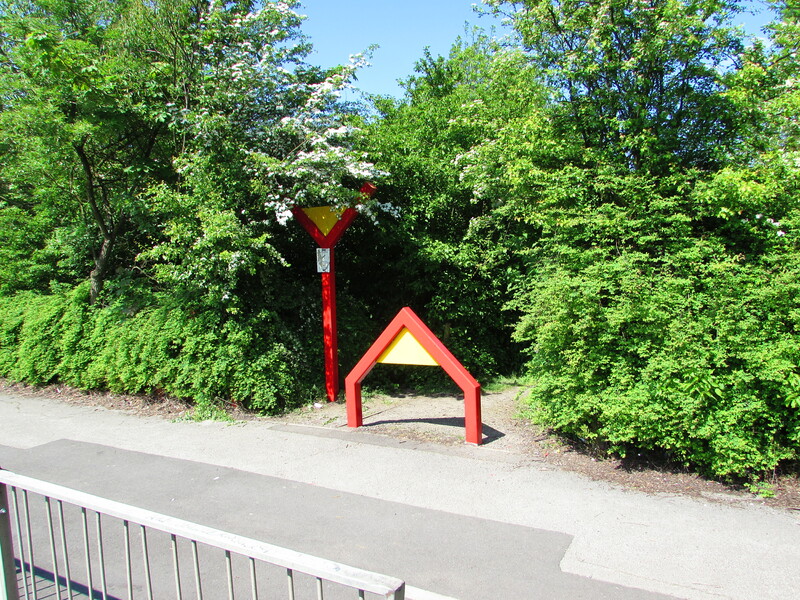 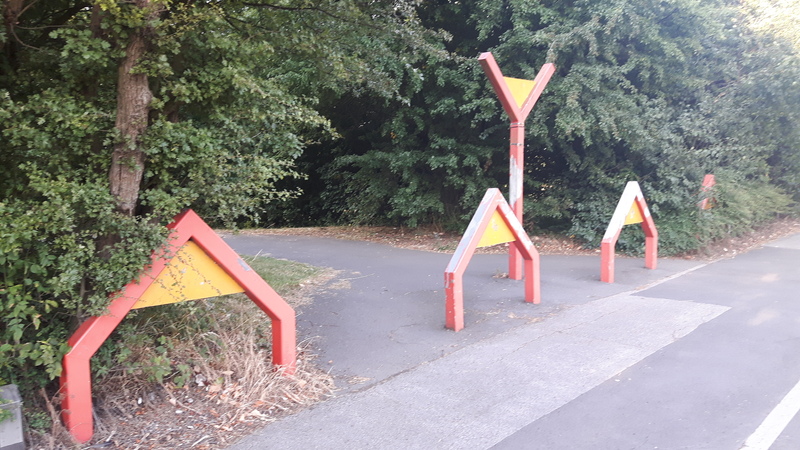 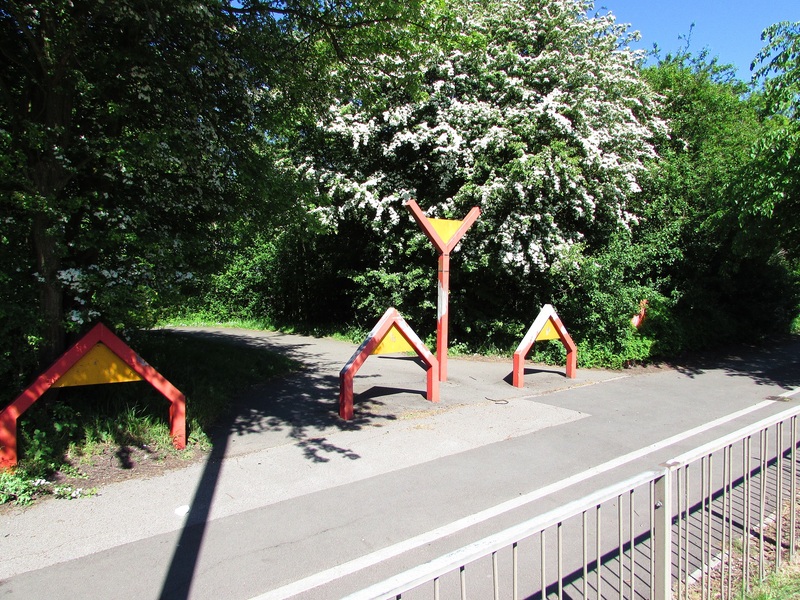 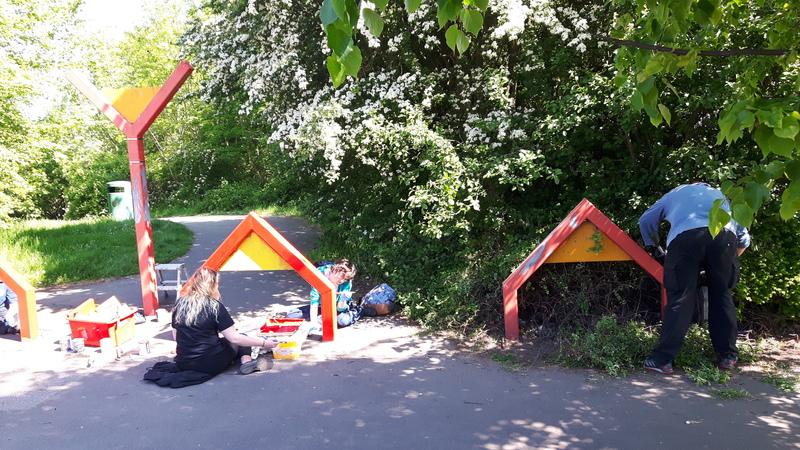 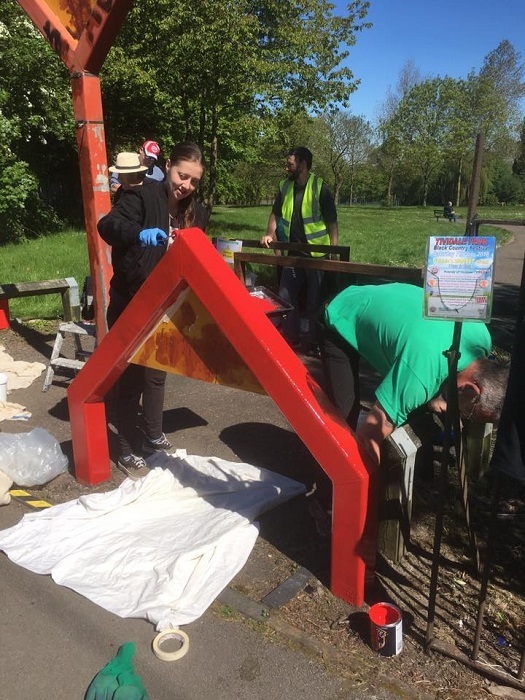 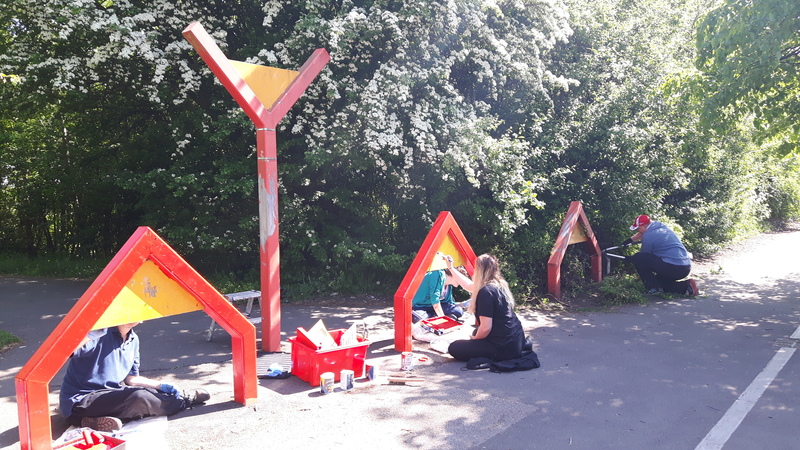 The Litterwatch Team did a fantastic job of painting the three entrances to the Park along the Birmingham New Road and one on the Dudley Road West. 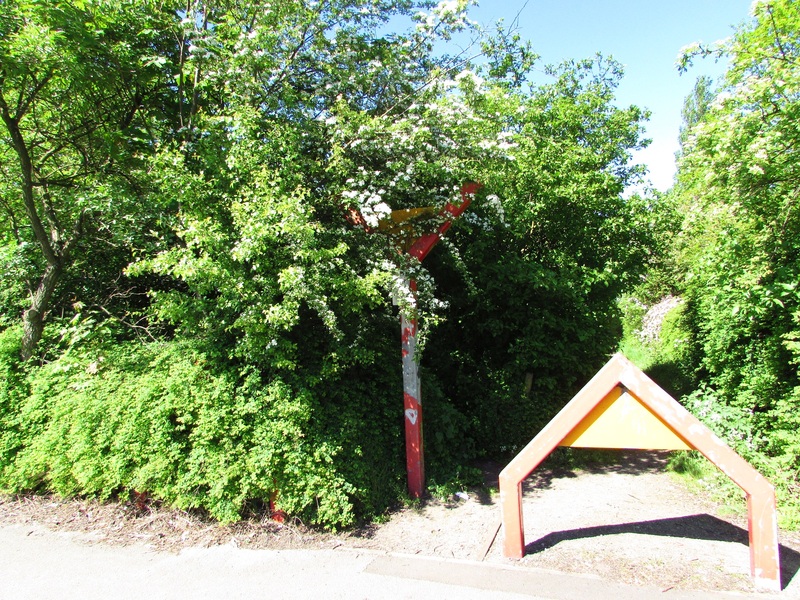 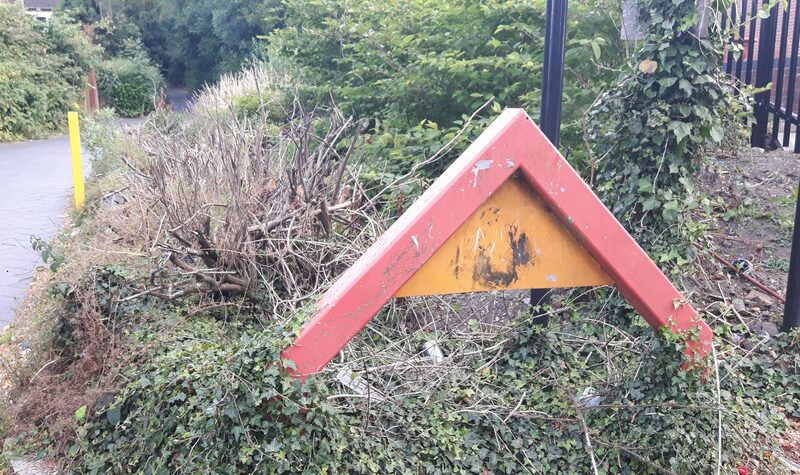 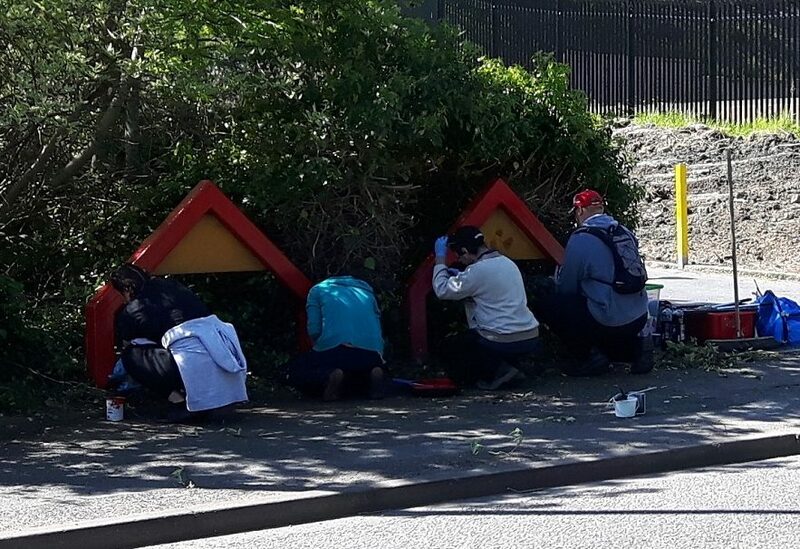 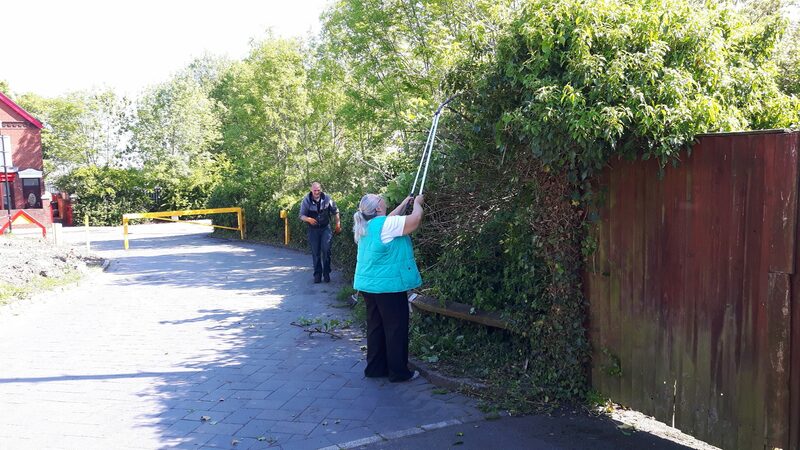 Teams from Friends of Tividale Park were involved in Litter picking, cutting back overgrown plants to restore the footpath to use along the driveway and painting the main gates in Dudley Road West. 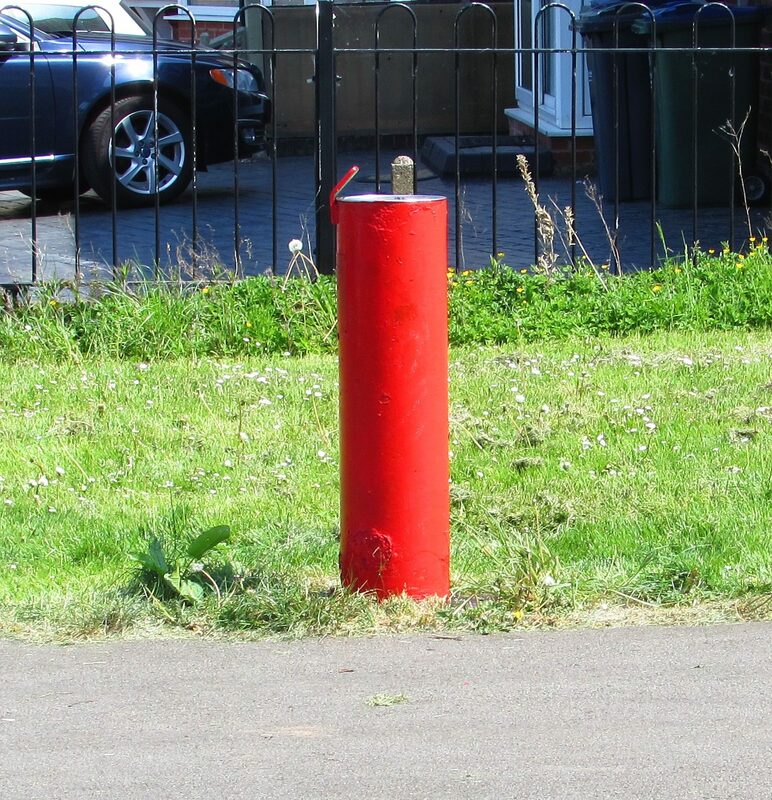 This was to remove orange spray paint and make them resplendent with a gold tops. 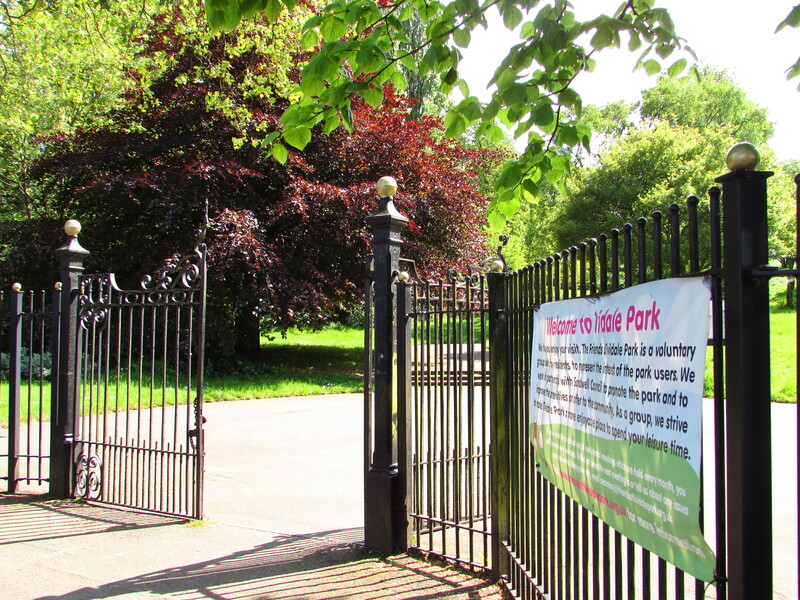 Some of the photos taken are shown. 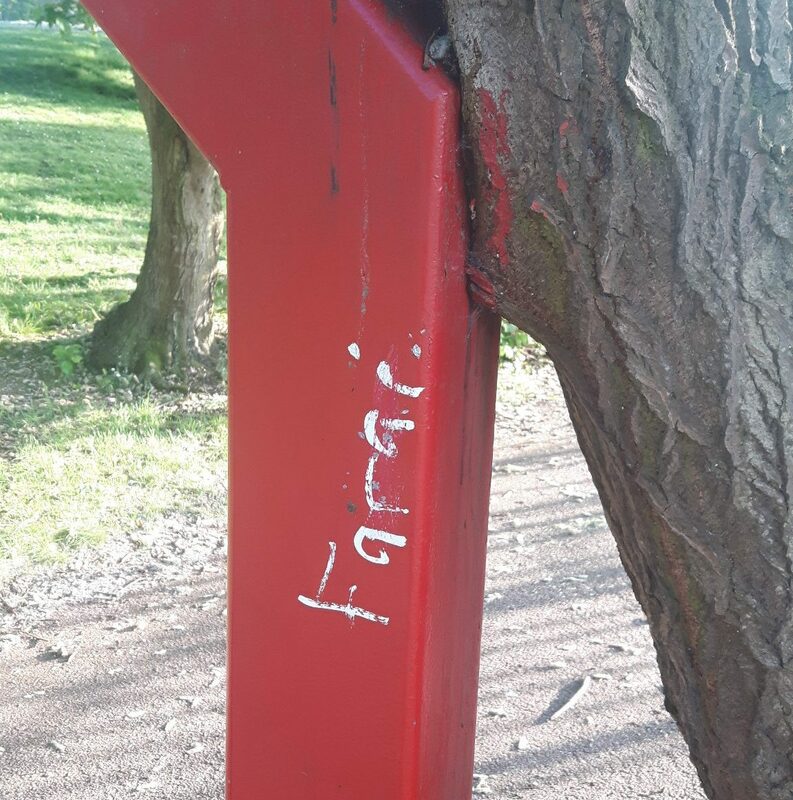 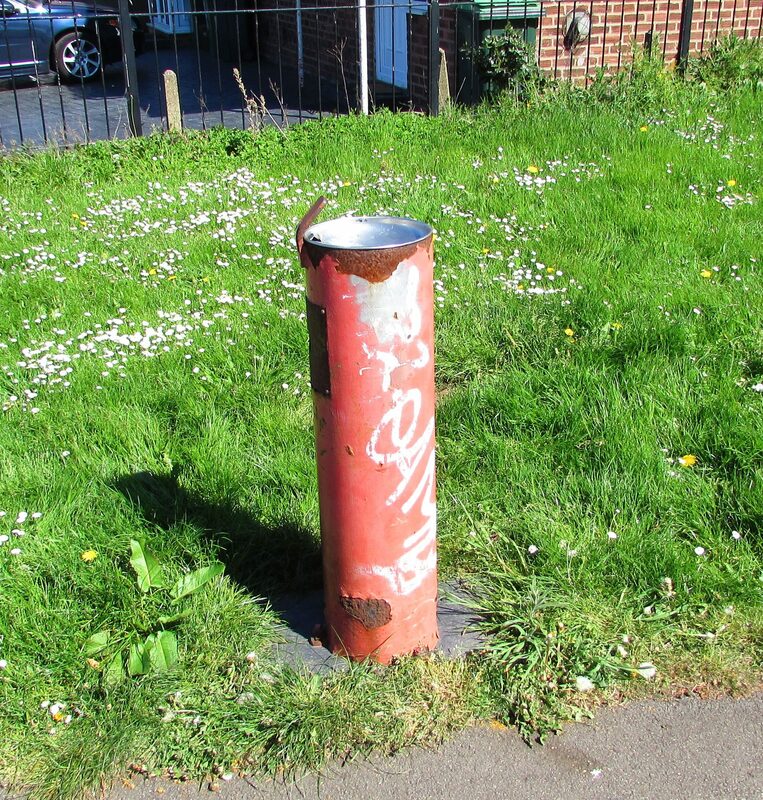 Follow up work was carried out on 20/05/18 to paint the rusty, graffitied disused water fountain at the parks 6th entrance at Twydale Avenue and remove some graffiti from the play area. 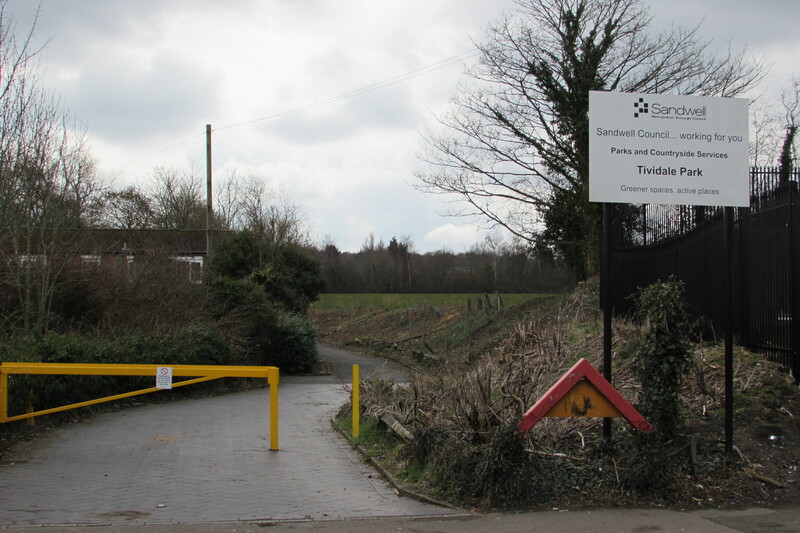 Some of the photos taken are shown. 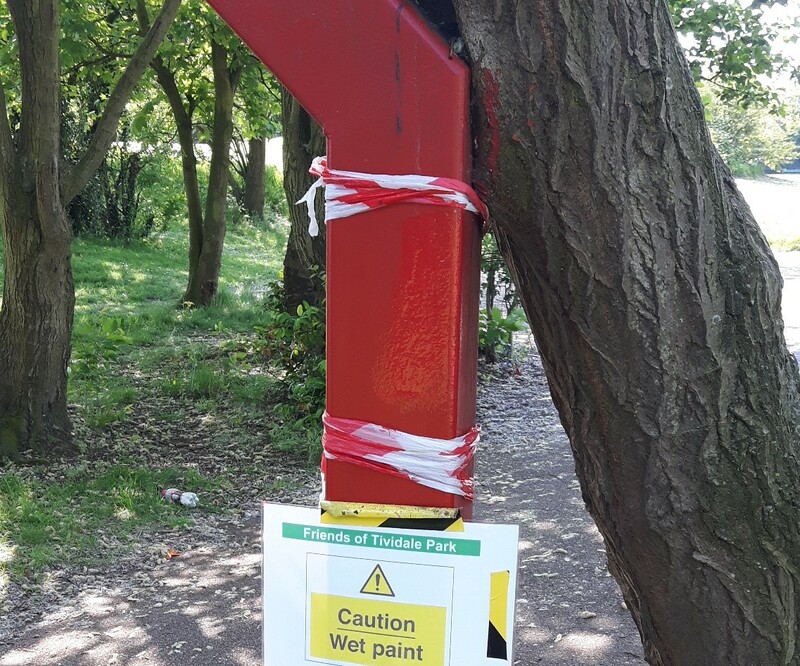 Follow up work was carried out on 20/05/18 to paint the rusty, graffitied disused water fountain at Twydale Avenue entrance and remove some graffiti from the play area. 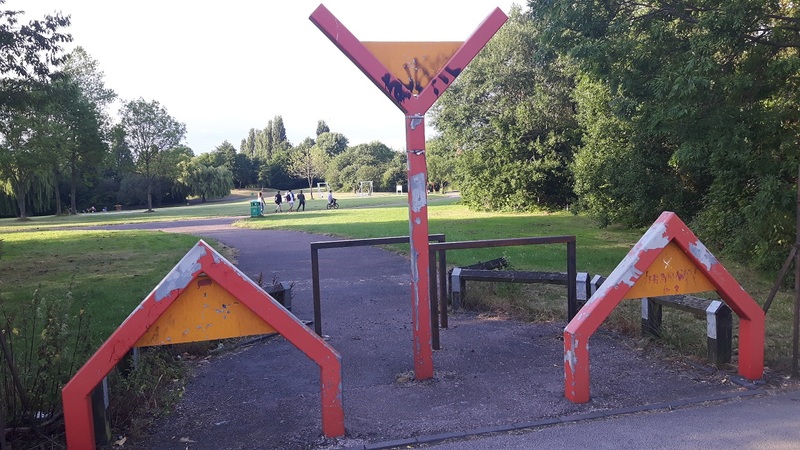 Graffitti on Pyramid entrance to Playground near Twydale Avenue Entrance. 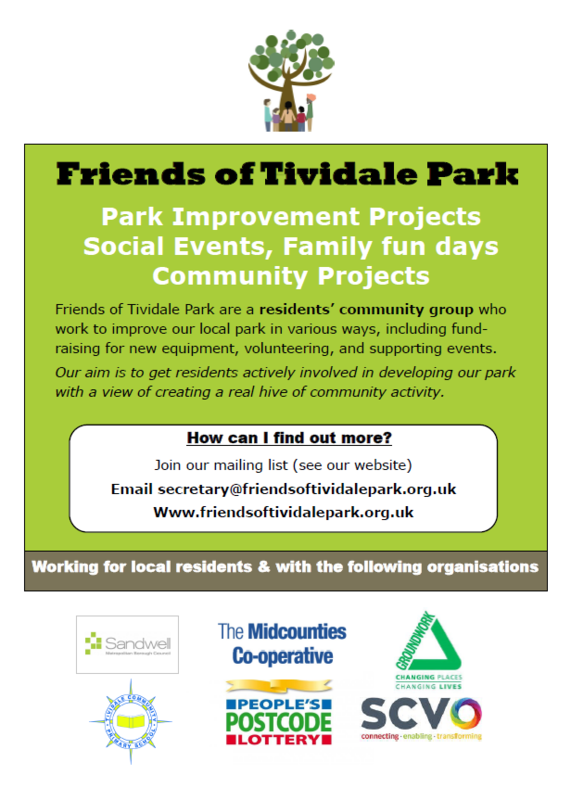 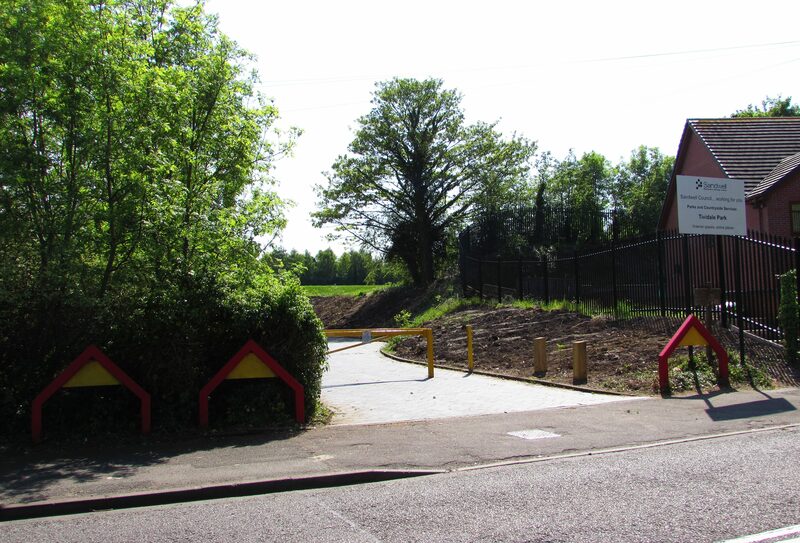 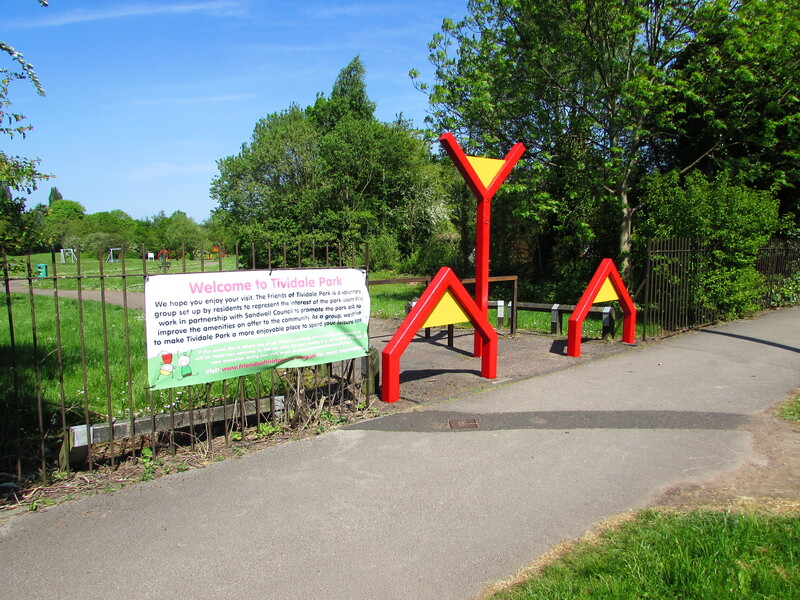 Establishing a community centre in Tividale Park – Area prepared, waiting delivery.